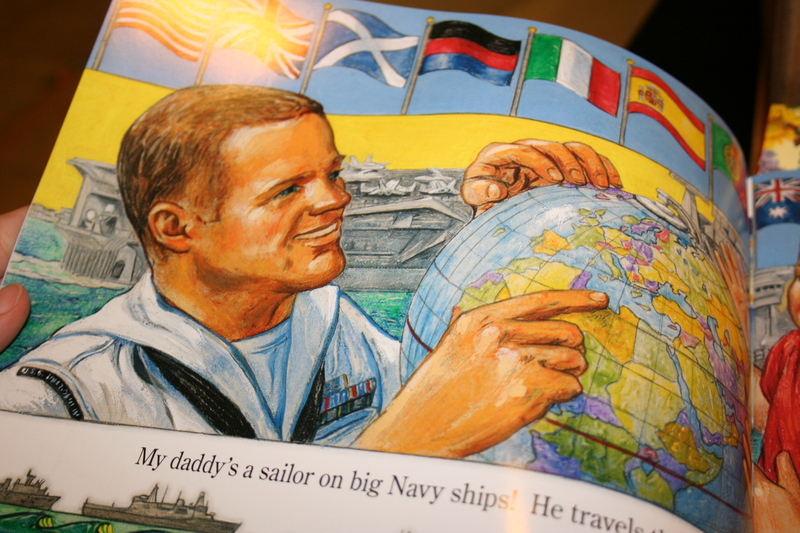 Anyway, this book, My Sailor Dad, is ADORABLE! I love the writing, even if it’s in rhyme, why every children’s book must be in rhyme is beyond me. I love the illustrations and how each page has additional artwork like flags, or semaphore as well. And yes, it is very Daddy-centric. 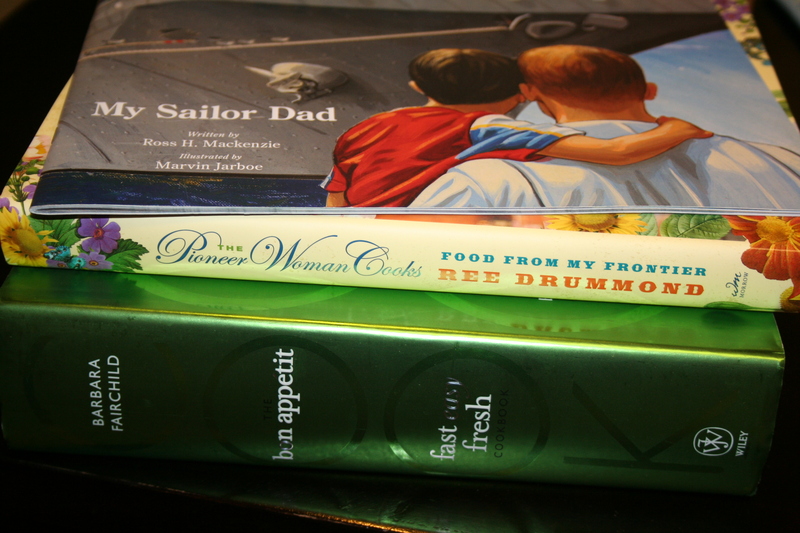 No sailor mommies are present in this book. At this point I got a little misty, especially when Omar pointed out that daddy did the same thing when he left (manned the rails). Although there was none of that waving nonsense going on, parade rest, Sailors! 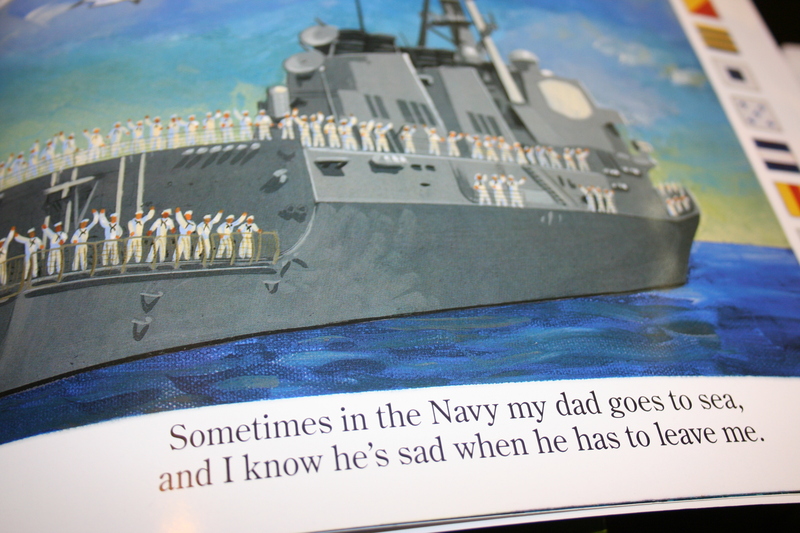 I think the book did a pretty good job of explaining why daddies have to leave in terms that my five year old could understand. You can find it at Amazon & B&N.